This Southern-inspired home at 308 Fletcher Court is perfect for a family with its four bedrooms, two-and-a-half baths and plenty of gathering spaces inside and out. Situated in the popular Andover neighborhood, it is 2758 square feet and includes a two-car garage. It is listed at $344,900. 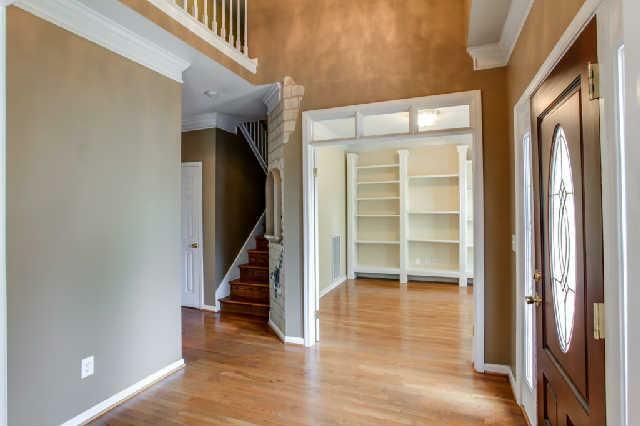 This Southern-inspired home at 308 Fletcher Court is perfect for a family with its four bedrooms, two-and-a-half baths and plenty of gathering spaces inside and out. 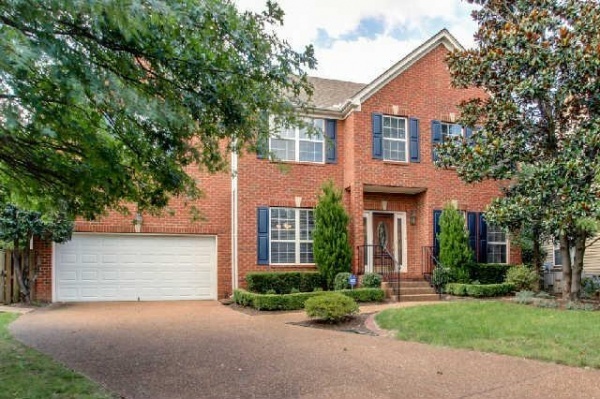 Situated in the popular Andover neighborhood, it is 2,758 square feet and includes a two-car garage. It is listed at $344,900. Built in 1999, the home’s exterior is as wonderful as its interior. The established landscaping includes large, healthy trees that give the perfect amount of shade to the brick home accented with blue shutters. Inside, details capture your attention. 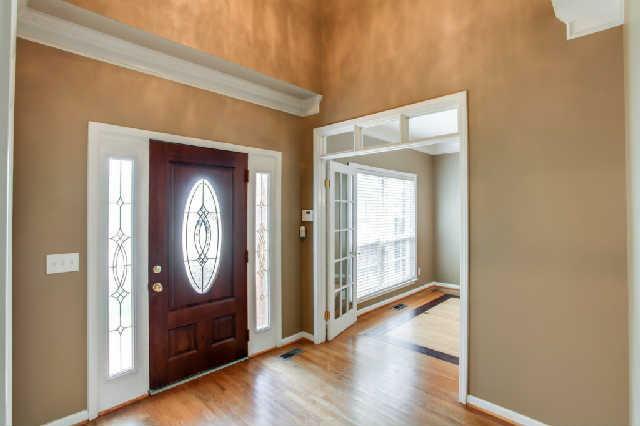 The front door’s etched, frosted glass provides natural light and privacy. 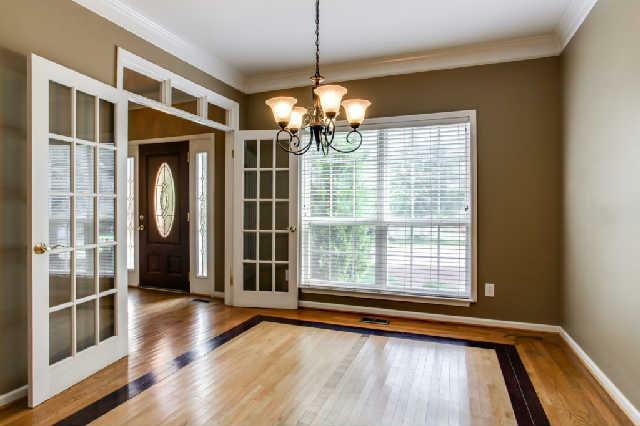 Beautiful hardwoods are found throughout the most of the main level. 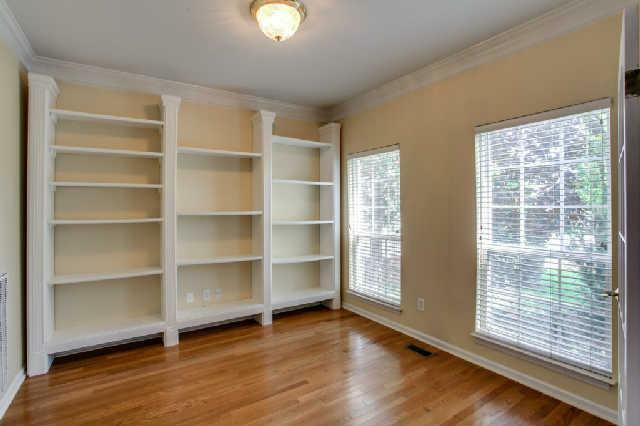 As you enter, look to your right and you see your private office with an abundance of shelves to showcase your book collection. To your left is the dining room with French doors and a two-toned hardwood floor, creating dimension and shape, to truly showcase whatever will be set inside it. The large functional kitchen has clean white cabinetry, granite countertops and a center island with a butcher block top, making food prep a breeze. Gray tile work and stainless steel appliances add a modern twist to this traditional, well-organized space. 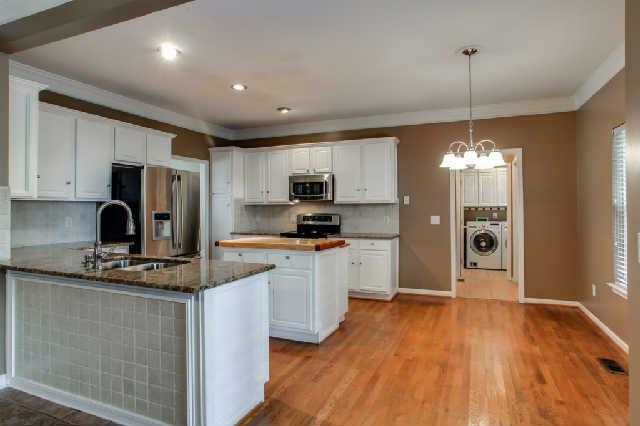 The laundry room has a private entrance from the rear of the kitchen with cabinets for even more storage. The kitchen opens into the great room which has a tiled floor. 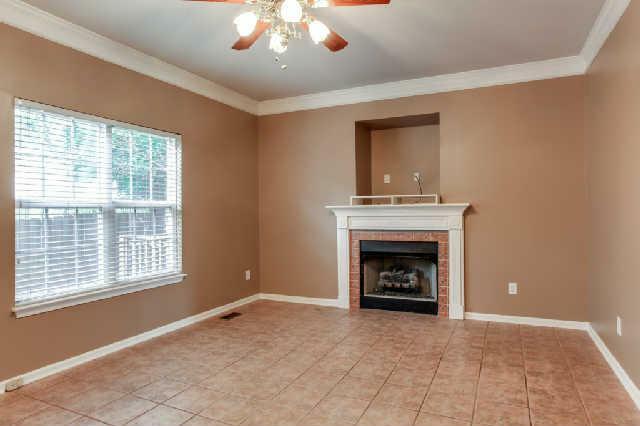 The fireplace is set in the far wall and the wall above is already wired for your flat-screen television. 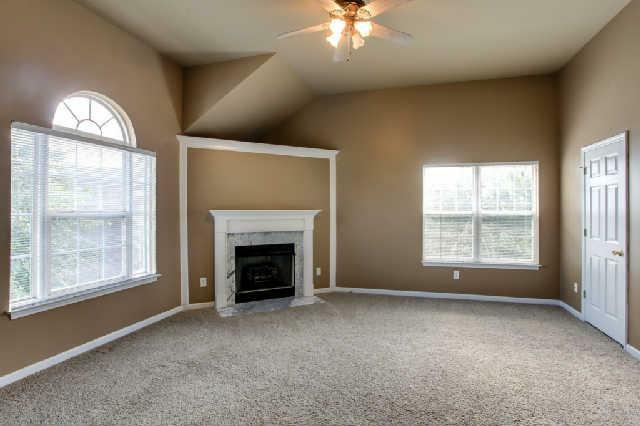 Youell find a second, marble-faced fireplace upstairs in the bonus room. 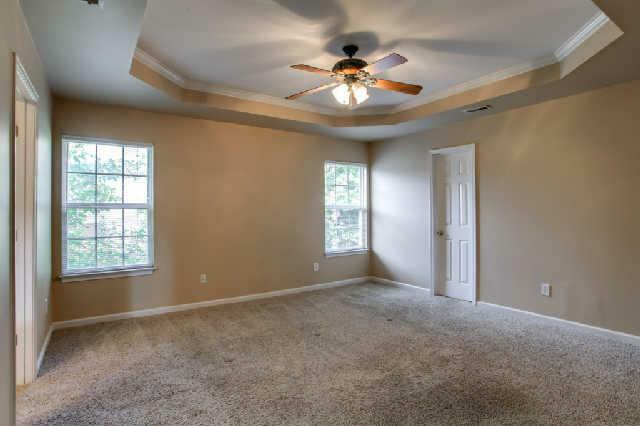 The carpeted master suite has a trey ceiling and ceiling fan. The neutral colors found here and throughout the home provide a relaxing background.e The master bath comes with his-and-her sinks and a corner tub with simple, geometric tile work. The three additional bedrooms are also unique; one has a trey ceiling and another has a raised barn-style one. Out back, the wooden deck and arbor, more trees and plenty of shade provide a wonderful spot to relax and entertain. 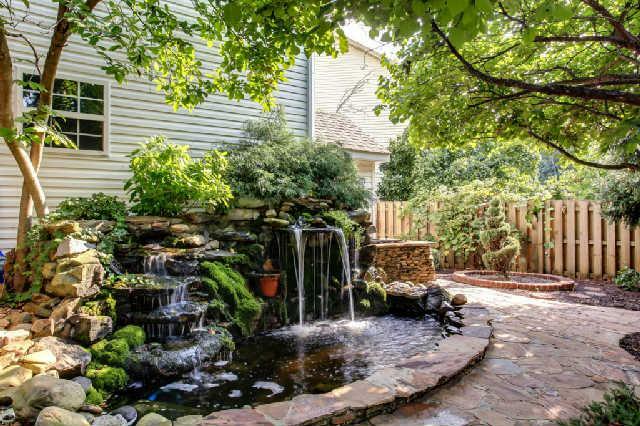 The area is accented by the stone pond with tranquil waterfalls. The driveway transitions into a stone walkway, surrounding trees and bushes. 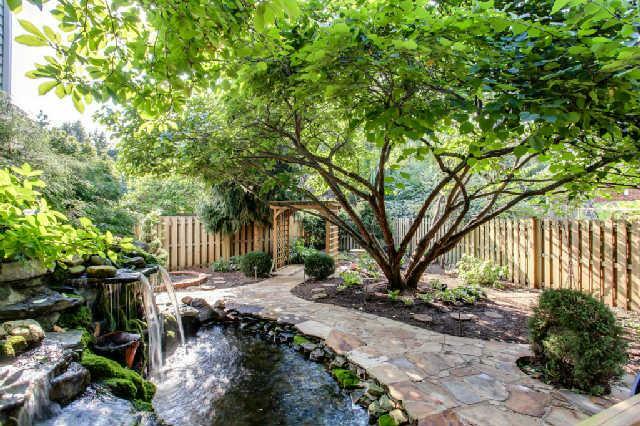 All come together to create an alcove in your private, fenced back yard. This home is listed by Judy and Richard Williams at Crye-Leike and is zoned for Johnson Elementary School, Freedom Middle School, and Centennial High School.